It continues to be a banner year for Buildbox customers with 5 games featured by Apple just in the past 30 days. This week, the trend continues with two new Buildbox games: Mars Mountain and A.P.E.X. Mars Mountain is the first Buildbox 2.0 featured game to hit the store! This extremely fun game was created by the team at Tastypill and published by BulkyPix. You will notice a few Buildbox 2.0 exclusive features being used in this game such as menu animations, tutorials and cut scenes. Mars Mountain was featured worldwide on iPad and in many countries on iPhone as well. A.P.E.X. is a “Tron meets Phases” game created by Buildbox customer Chris Goodman. The game is not only beautiful, but has some amazing gameplay to boot. A.P.E.X. 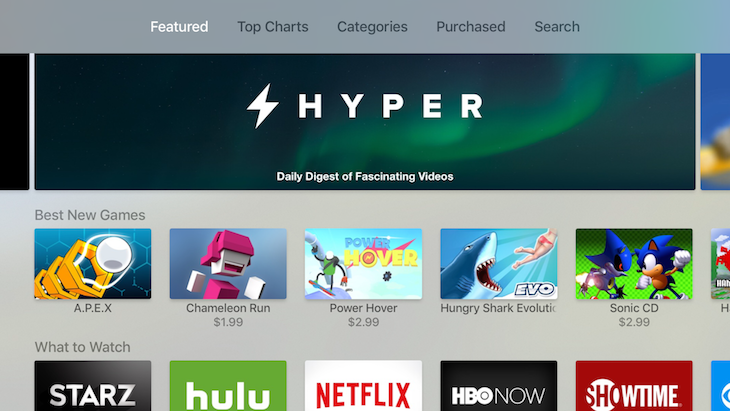 marks another first for Buildbox: Not only did it gather a worldwide feature for iPhone and iPad; the game also was the number one featured game this week on Apple TV. Congratulations to both Chris Goodman and the Tastypill team, and make sure to check out our forums to see them talking specifically about making their games.